Hoist Parts Pro.com is your one-stop source for replacement hoist parts, maintaining more than $1.5 million stock in replacement parts for CM, Coffing, Yale, Shaw-Box, Budgit, Harrington, Acco / Wright, Ace World Companies, Detroit Hoist and R&M Material Handling … just to name a few. 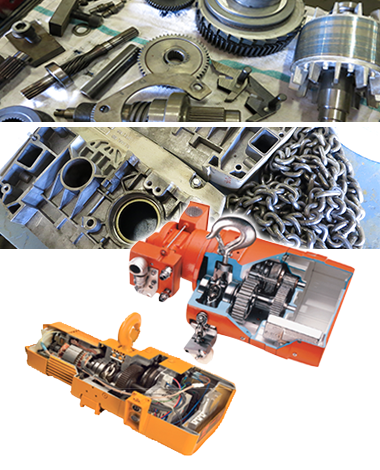 Our machine shop can make custom hoist parts, such as hook blocks, sheaves, wheels and gears. These can be made to your specifications or we can meet the specifications with our in-house Engineering Department.